Belts are a mysterious and oft-ignored part of our accessories arsenal. At once utilitarian & the “it” accessory of the moment, our feelings about these waist-cinchers have recently gone from “meh” to must-have. Think you can't wear belts? Think again! It’s the perfect way to spruce up your look & define your shape. Here are the 5 belts every woman needs in her closet for spring. Adored by classic, preppy & glam girls alike, the right printed belt in statement leopard (or zebra or cheetah) can dramatically transform a humdrum outfit. We love it paired with cargo shorts & a striped menswear button-up or high-waisted flares & a tucked-in tee. It’s amazing how a simple belt can totally modify an outfit. With the quick closure of a buckle, almost anything you wear is instantly pulled together (literally). This closet staple is the perfect item to wear over a tunic to give you shape. Stylist Tip: If you’re wearing a tunic with buttons or a longer dress shirt, keep the last two buttons open to create a more flattering drape & add street-style cred to your look. 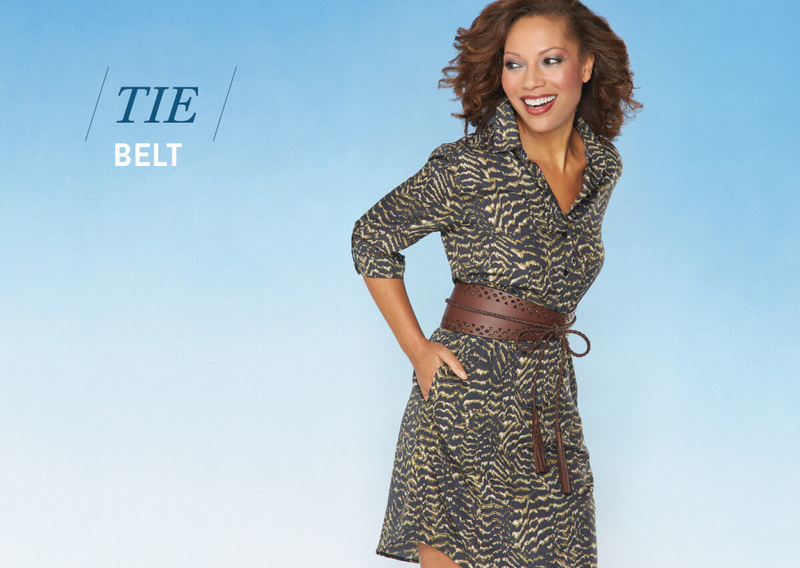 A leather belt that sits right above the waist (also called an obi belt) is the perfect addition to a wrap or shift dress. Not only does it make an impactful statement, but it defines & creates major waist-flattering vibes. Another plus? You can get creative with the ties at the end. Wrap them, tie them or tuck them—it’s up to you. 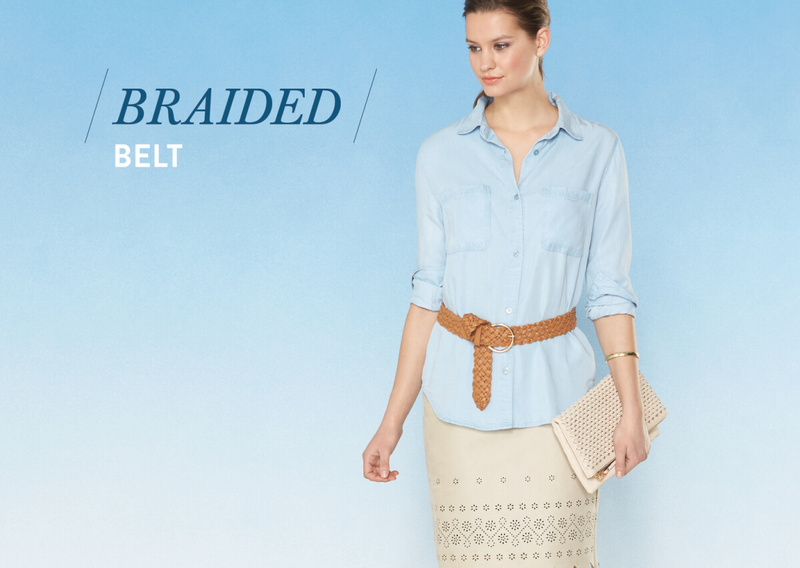 The braided belt has been around for decades—and there’s a reason for that. The braided leather allows you to size the belt anyway you way, so you can wear it at your hips, at your waist or anywhere you please. It’s truly personalized to your size. 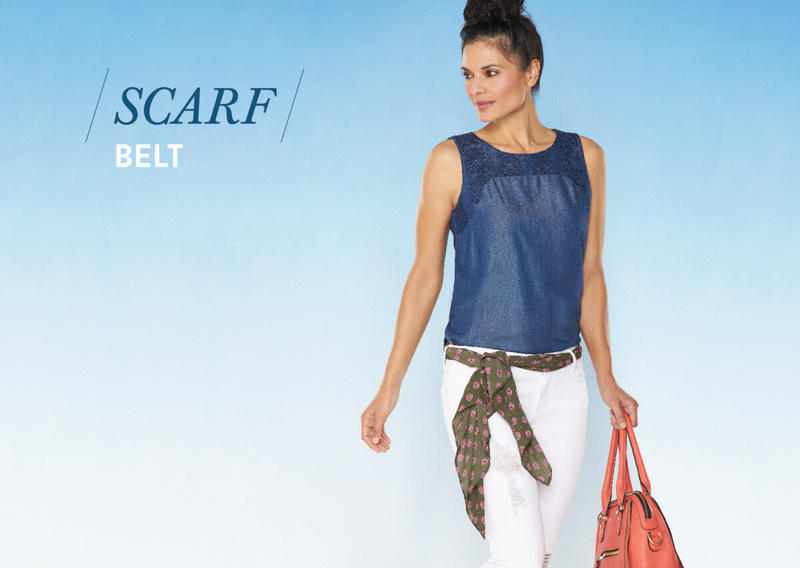 This spring, try styling it at the waist with a looped knot to update a simple chambray top. 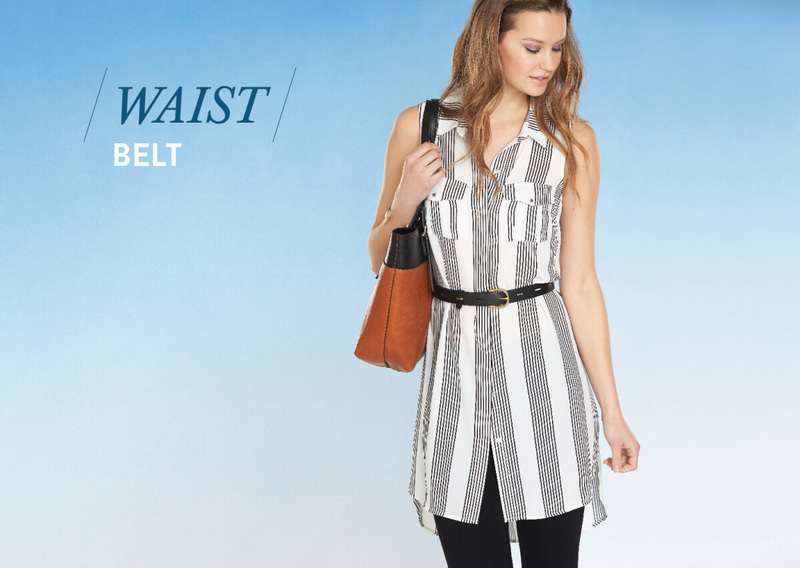 This makeshift belt is more of a stylish secret of the few (now the many!). Not only can a silk scarf be worn around your neck, in your hair, as a wrist-tie or attached to a leather tote for flair, but it’s a lightweight way to add color or print to a simple look. Stylist Tip: The key here is to make sure your scarf is long enough to allow the end to drape delicately against your waist. If it’s too short, you’ll end up with extra bulk around your hips. 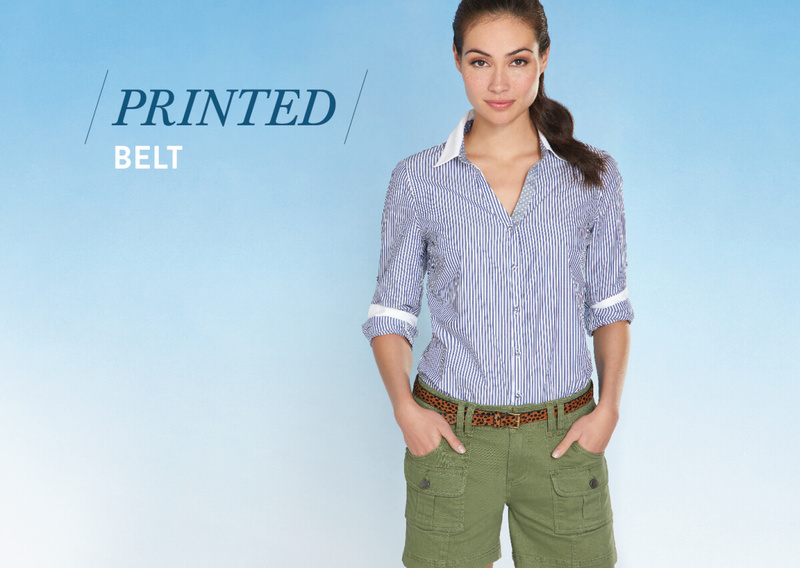 How are you wearing belts this spring? Let us know in the comments.